The Microsoft Legacy Operating System topic includes legacy versions of Microsoft operating systems prior to Windows 2000: All versions of MS-DOS and other versions developed for specific manufacturers and Windows 3/3.1, Windows 95 and Windows 98, plus any other Windows-related versions, and Windows Mobile. 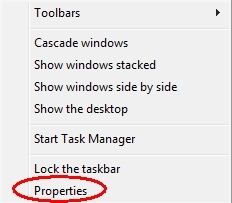 With the advent of Windows 10, Microsoft is pushing a Get Windows 10 icon into the notification area (system tray) of qualifying computers. There are many reasons for wanting to remove this icon. This two-part Experts Exchange video Micro Tutorial series explains several techniques for doing that. In the previous Part 1, we discussed three techniques. Each of them works to remove the icon when initially performed, but some users report that the icon returns. In this Part 2, we discuss a fourth technique, which involves changing the registry. It has received no reports yet of the icon returning. We also provide a pre-built .REG file (attached in the steps below) that will easily and safely remove the Get Windows 10 icon from the notification area. 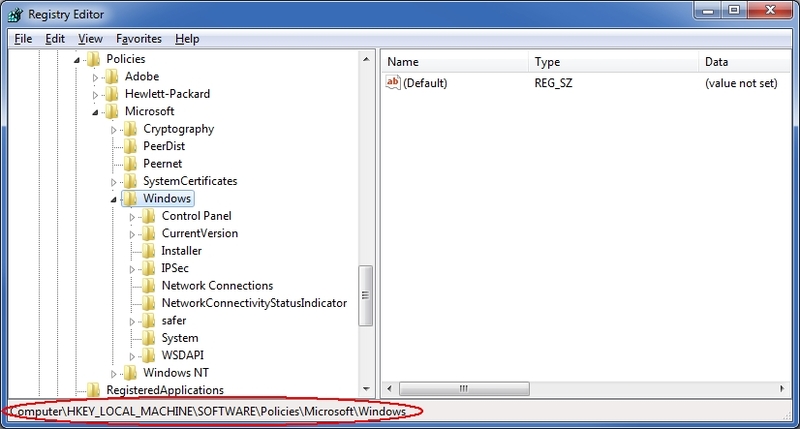 Likewise, we attached another pre-built .REG file that will easily and safely restore the Get Windows 10 icon to the notification area, in the event that you want to utilize it at some point in the future. With that key selected/highlighted, click the Edit menu, then New>Key. 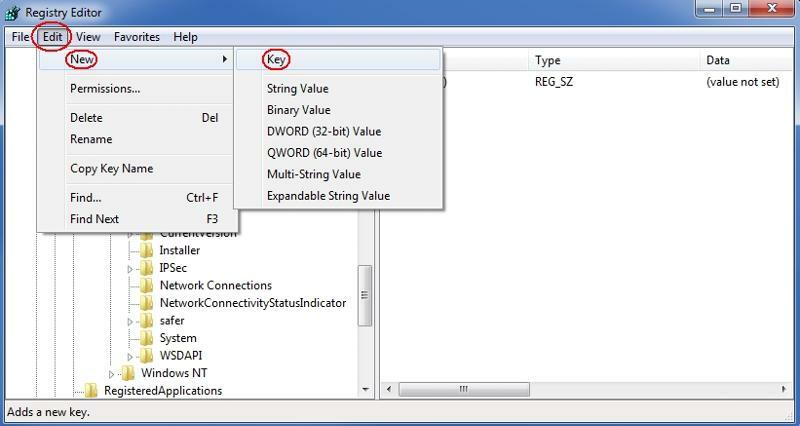 Create a new key called GWX. Thanks for sharing this with us, this fixed the issue in seeing this annoying message not only on my personal laptop but in our company desktop and laptops as well. 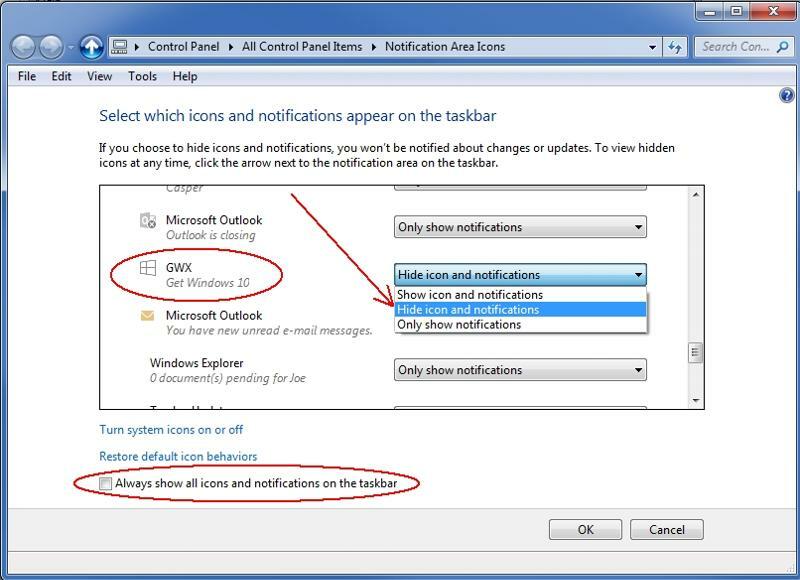 With the advent of Windows 10, Microsoft is pushing a Get Windows 10 icon into the notification area (system tray) of qualifying computers. There are many reasons for wanting to remove this icon. This two-part Experts Exchange video Micro Tutorial series explains several techniques for doing that. 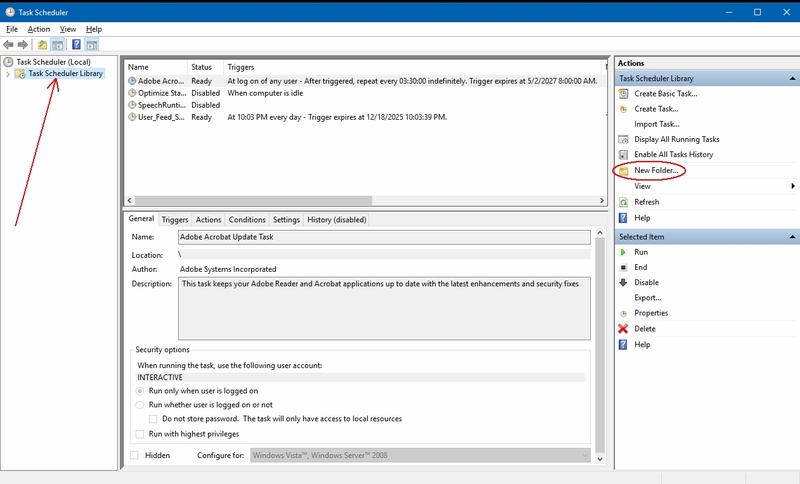 In this Part 1, we discuss three techniques: (i) hiding the icon, (ii) uninstalling the relevant Windows update, and (iii) disabling tasks in the Task Scheduler. They all work to remove the icon when initially performed, but some users report that the icon returns. The fourth technique, which is explained in Part 2 of the series, involves changing the registry and has received no reports yet of the icon returning. 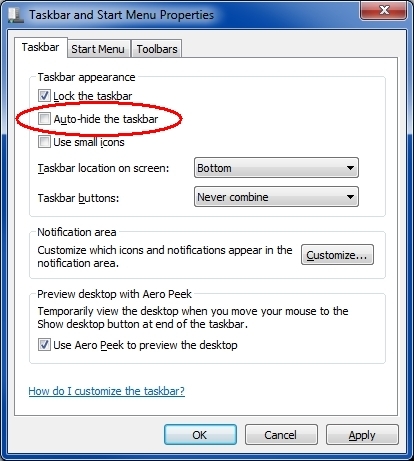 The Taskbar tab should already be selected, but if not, click it. Find the GWX entry in the list. Click the drop-down arrow and change the behavior from Show icon and notifications to Hide icon and notifications. Note: This approach works only if the check-box "Always show all icons and notifications on the taskbar" is un-ticked. 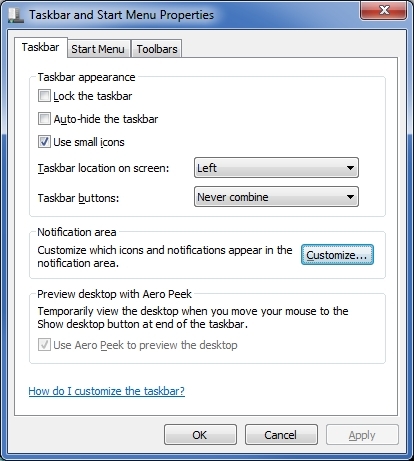 The Task Scheduler is a powerful tool that is built into Windows. It allows you to schedule tasks (actions) on a recurring basis, such as hourly, daily, weekly, monthly, at log on, at startup, on idle, etc. 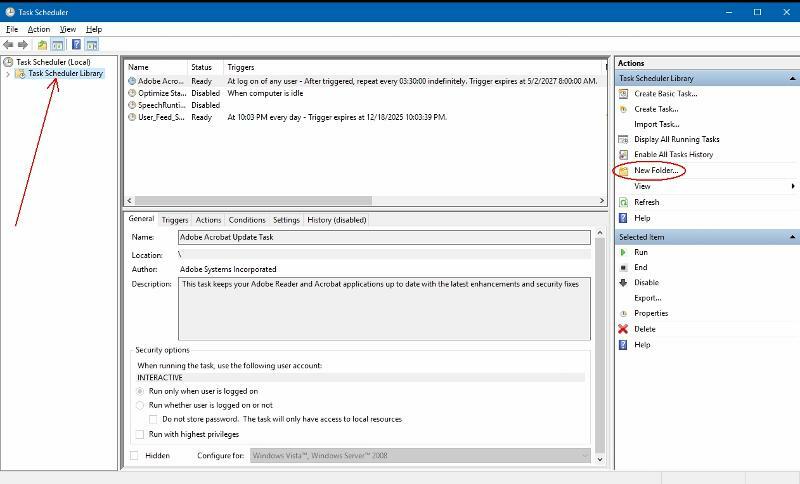 This video Micro Tutorial is a brief introduction to the Task Scheduler. It was inspired by a recent question here at Experts Exchange from a member who wants to play a different song at four different times during the day (every day). 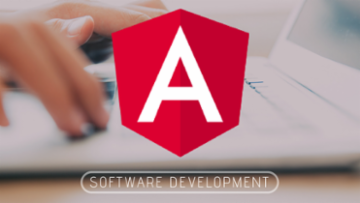 The video uses that as the example, but the intention of the video is to explain the general creation of periodic tasks that can cover a broad range of user requirements. 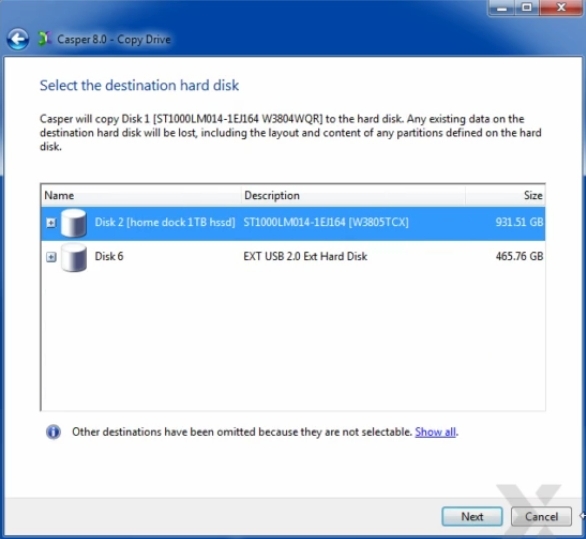 The video was produced in Windows 10, but the Task Scheduler user interface is nearly the same in Windows Vista, Windows 7, and Windows 8 (the Task Scheduler exists in Windows XP with similar functionality, but the user interface is different). 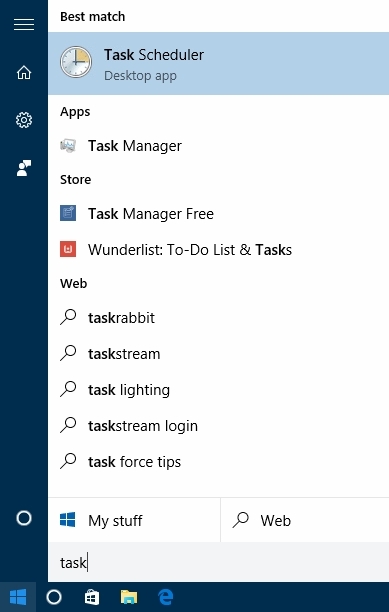 In Windows 10, click the Start button and start typing task scheduler. By the time you get to the letter "k", you should see the Task Scheduler choice — click it. Make sure Task Scheduler Library is selected/highlighted in the left pane (it should already be). Click New Folder... in the Actions pane on the right, then give the new folder a name. 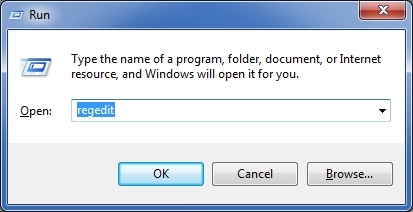 Expand the Task Scheduler Library and select/highlight your new folder. Thanks very Helpful and easy to follow. 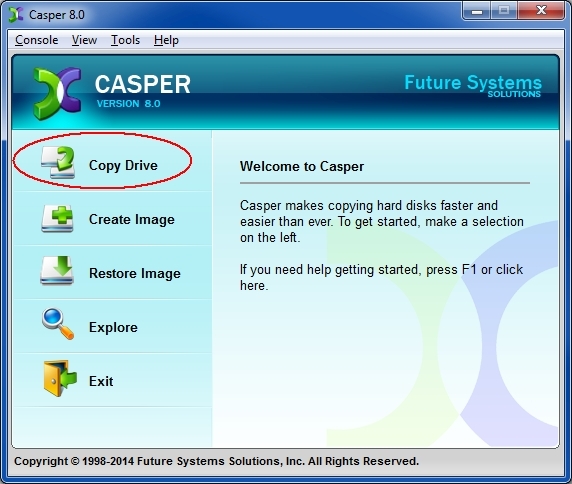 This video Micro Tutorial explains how to clone a hard drive using a commercial software product for Windows systems called Casper from Future Systems Solutions (FSS). 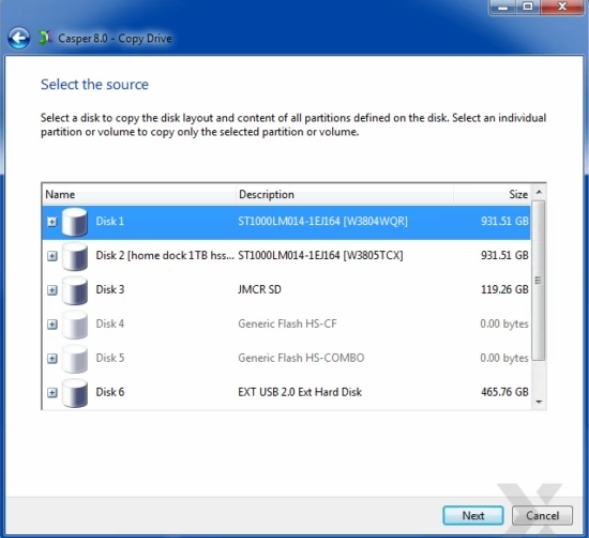 Cloning makes an exact, complete copy of one hard disk drive (HDD) onto another drive, thereby providing an excellent backup function, as well as the ability to upgrade drives, such as going to a higher capacity drive and/or from an HDD to a solid state drive (SSD) or solid state hybrid drive (SSHD). This performs the cloning operation. Select the source drive, that is, the one you want to clone, and click the Next button. Select the destination drive, that is, the one you want to receive the clone, and click the Next button. When a restore is need I would like to get back the entire computer, even if for performance purposes I would split the OS (SSD) and files on two disks but for backup, I would expect that one disk (SATA) should be enough. especially when recommended to have to copy's of each backup. Just my opinion.